Wagan R 2013 is one of the most successful hatchback models of Suzuki all across the world in fifth generation which was produced in 2013, it was first revealed in Japan in September 2013 and in October 2013 in Pakistan. It was also launched under the name of Karimun Wagon R which had 3 trims, GA, GL and GX models with the changes of keyless entry key, seat tray, power windows and sporty cluster meter. It is a compact car with large space which is perfect for family and goods. The R is considered as Recreation, Suzuki Wagan R’s design is also known as tall boy or tall wagons which have maximum interior space due to high roof. Wagan R 2013 has proved to be the successful models in local and international markets such as Pakistan, India and Indonesia. Wagan R 2013 has unique designs with tall height, small front hood and flat hatchback at rear, it has large head lights with fog lights at the bumper which are optional. It is a four door hatchback. The major upgrades are made in this generation wagon r in front grill, bumpers, lights and shape. Wagan R 2013 is a family car with maximum space in a compact design with the high roof top which allows more space inside with vertical height advantage. Suzuki Wagan R 2013 is also considered ideal hatchback for transporting goods. The dashboard has music systems, navigation LCD at the center, with the automatic or manual transmission gear along with container, handbrake and arm rest. Suzuki wagon R 2013 has R06A engine with CVT transmission including lithium-ion battery and electric motor/generator, 5-speed manual transmissions, 4-speed automatic transmissions, 64 PS (47 kW) of output with option of front wheel or four wheel drive. The ENE-CHARGE feature offers regenerative braking. It has also Power Steering, ABS and mild-hybrid system which is also known as ENE-CHARGE in order to save energy, which also includes ECO-COOL, electric air conditioning system. Suzuki wagon R 2013 color range may include Silky silver, Glistening Grey, Bakers Chocolate, Breeze Blue, Ecru Beige, Midnight Blue, Superior white and Passion Red. There is also a Mazda version of AZ-Wagon also named as Mazda Flair and Wagon R Stingray which was launched in October 2013. Suzuki wagon R 2013 with details specifications, all variants and high quality images of interior exterior and prominent features with variety of colors at Shoprex.com, also the updated price of each model is also listed with the respect of its variation and type. Compare all models of Suzuki Wagon R 2013 Price in Pakistan; explore 2013 Suzuki Wagon R Hatchback specs, images (exterior & interior), videos, consumer and expert reviews. Suzuki Wagon R 2013 features include transmission type (automatic/ manual), engine cc type, horsepower, fuel economy (mileage), body type, steering wheels & more. 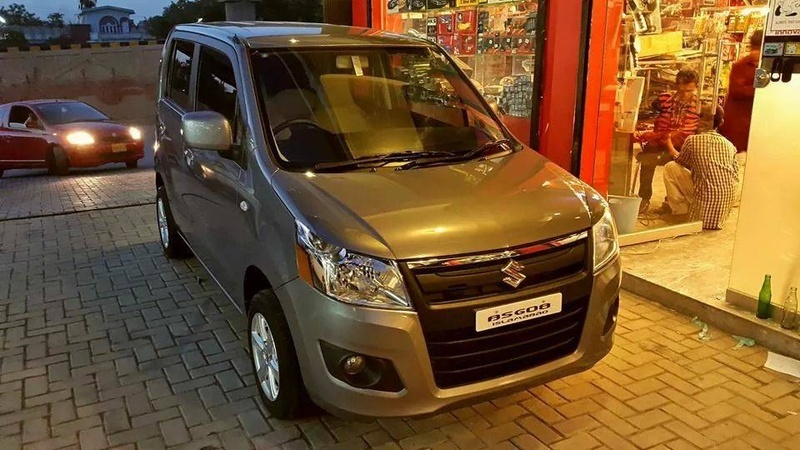 The most economical price Suzuki Wagon R 2013 model is the Wagon R FX at PKR 1,150,000 and the most expensive model is the Wagon R FA at PKR 1,300,000. Currently (3) Suzuki Wagon R 2013 model variations are (Suzuki Wagon R 2013 FX, Suzuki Wagon R 2013 FX Limited, Suzuki Wagon R 2013 FA) available in all cities (Karachi, Lahore, Islamabad, Quetta, and Peshawar etc.). They bought big improvements in the front and back designs of this 2013 Wagon R from Suzuki model which looks far better than its all previous variants, also interior looks great.